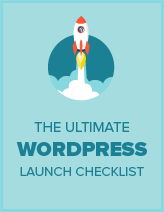 You can grab this plugin from this page over at WordPress.org. 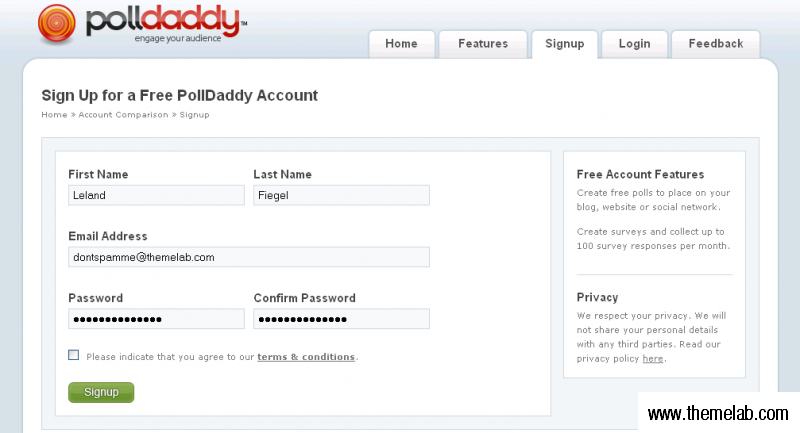 After installing the plugin, you’ll notice a prompt to input your PollDaddy account details. If you don’t have a PollDaddy account already, not to worry! I’ll walk you through it. You can sign up for a free account here. Fill in your name, e-mail address, and password choice, and you’re all set. After this, you’ll need to go back to your WordPress admin panel and type in the login details you just created. 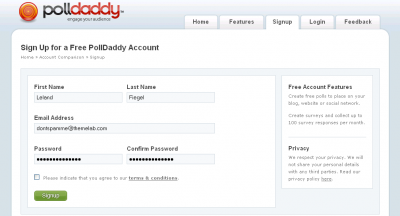 Upon revisiting the PollDaddy admin page, you’ll see a new screen to create and manage your polls. I’m not sure what that warning message means, but I’ll just ignore it and see if the polls work anyway. Seems some others are having the same problem as well. Click the “Add New” link to set up your poll. There’s an input box for the poll question, as well as three answers. You can click the “Add Another” button for more answer choices. You can also set up multiple choice polls, randomize the answer order, and allow other answers. I’ll choose the “Simple White” design and leave the default settings for results and repeat voters. After clicking the “Add Poll” button, I was greeted with a page with two warning messages on it. After re-logging in to the admin panel (somehow I was logged out) and visited the Polls page, it seems the poll I created was indeed successful. The next step is to go write a post, and click the orange button thingy next to Add Media. You should see a screen like this with your newly created poll. Again, the same warning message pops up. I’ll try my best to ignore those since they seem not to make a difference with the actual workings of the plugin. 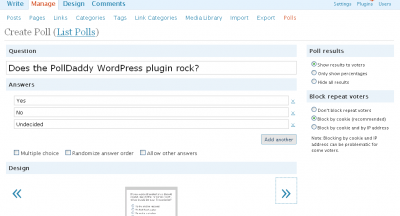 After sending the poll to the editor, WordPress will generate a shortcode to place in your post. Help Me! It doesn’t work! After saving/publishing, you’ll notice the actual poll doesn’t display in your post, just the unparsed shortcode. To correct this, you’ll need to install another plugin from PollDaddy. You can get it here. I grabbed the one for version 2.5 and above. 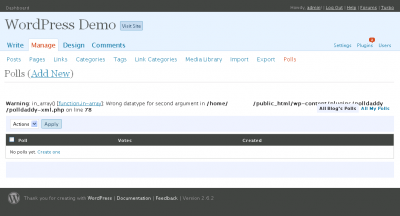 I’m not sure why this plugin isn’t even mentioned at all on the first plugin’s page. I had to check this support thread to find out why the polls weren’t displaying properly. Apparently the first plugin was just for creating/managing polls. 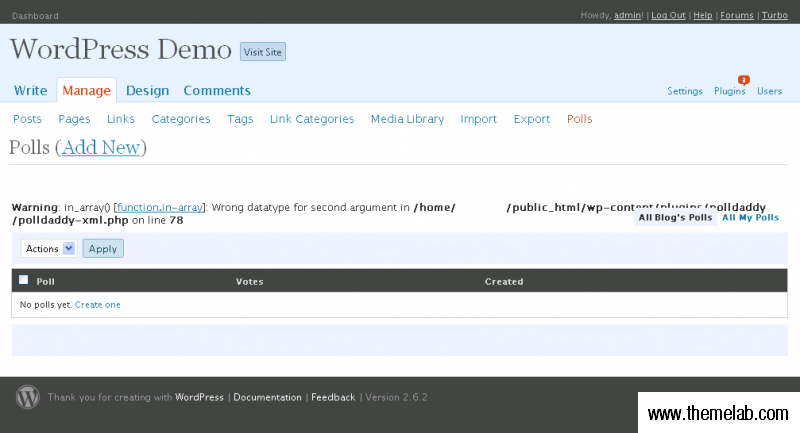 This one is for having them display in your WordPress post. That’s it. Here’s the poll I’ve just created in action. First of all, I’d like to congratulate Matt Mullenweg and Automattic on this awesome acquisition. It’s a mystery to me why the plugin for creating/managing polls and the plugin for displaying polls are separate. Maybe someone can enlighten me. I personally think that these two plugins should be combined into one. 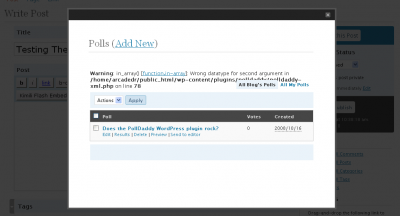 I think it’s also worth mentioning the self-hosted WP-Polls plugin by Lester Chan, if you’d rather not be dependent on a third-party service. Hope you all liked the tutorial. Feel free to comment with your thoughts on the acquisition, the WordPress integration, and the tutorial. I’d love to hear them. The new Block editing system in WordPress 5.0+ doesn’t even require a plugin. You can click the + sign to add a new block and one of the types of blocks is a PollDaddy block. You paste the URL for your CrowdSignal (PollDaddy) survey/poll/quiz and it embeds beautifully! I’m using this widget in my sidebar currently, but my biggest issue is that I cannot figure out for the life of me how to get it to display a randomly selected POLL from my account each time… I have to manually shortcode in a new poll every time I want it to change… is there a way to just get a new poll from my account to display each time? Thanks for posting. I couldn’t figure it out. Finally I realized I needed to go to add media instead of adding poll and then adding the code in for inserting url. Appreciate it! 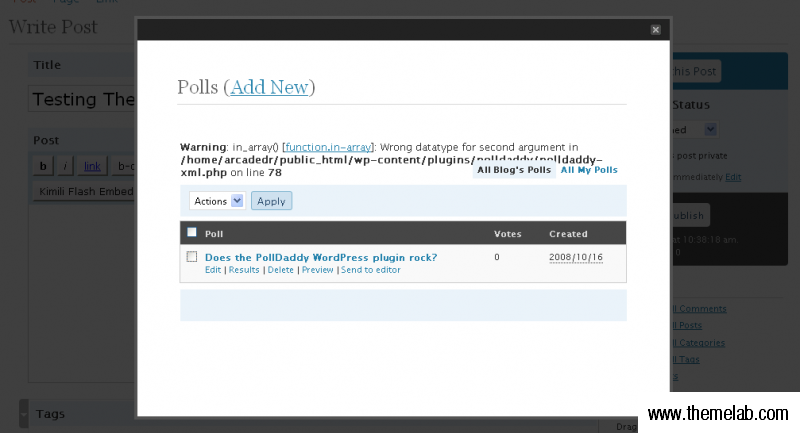 I believe you can still use PollDaddy polls on WP.com although this tutorial applies to self-hosted WP blogs. Hey thanks for this it was usper useful, do you know if you can add links into the answers of a poll daddy poll? So the answers are hyperlinks to the content they express, would be super useful if this was possible. Thanks so much for this! It was just what I was looking for in terms of creating polls on blulob.com. It worked like a charm! Thanks for the review! 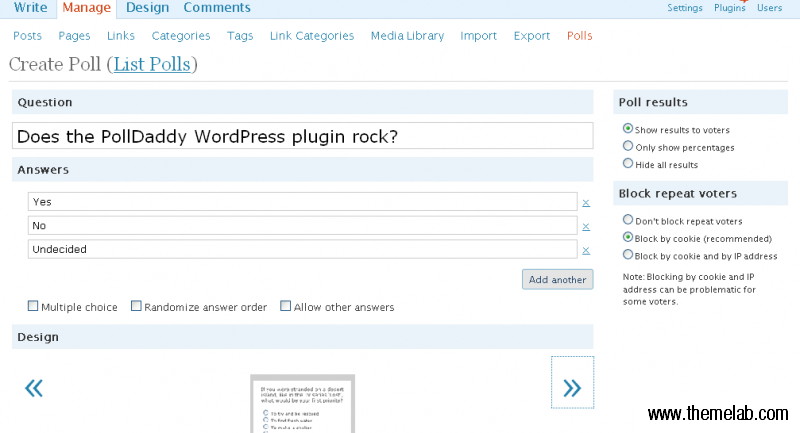 Adding a poll to your blog is a fantastic way to learn more about your visitors.I like the plugins that are available if you are a WordPress user.It makes life so much easier. @Dave: Glad you found it useful. @Andrew: That’s a very good question. Honestly, I haven’t really tried WP-Polls enough to comment on that. Leland, I have used both WP-Polls and Poll Daddy and I settled on WP-Polls in the end. Do you have any thoughts on which is actually better for visitor experience and administrator benefits? I’ve been wondering how to get a WP poll going. Thanks for the information. This will be useful on my site. @jbj: No problem! It’s definitely worth a try. @mdawaffe: Hey, no problem, and thanks for stopping by. Glad to hear about version 0.4. Should we expect that to be released pretty soon? You shouldn’t have needed that second plugin. This plugin was supposed to do both managing and displaying. Both that bug and the Warning should be fixed in the next version: 0.4. Thanks for the review Leland! I definitely must check out the PollDaddy plugin.